GRAFENWOEHR, Germany — Noncommissioned officers have always led from the front, but a new grass-roots initiative empowers them to effect change across the spectrum. Not in My Squad, or NIMS, is an assessment begun in October 2015 by Sgt. Maj. Of the Army Daniel Dailey as part of the campaign to fight sexual assault and harassment, then expanded to the long-term improvement of junior leaders. The idea behind NIMS is to empower first-line leaders to tackle issues that are among the top priorities for senior Army leaders. “As enlisted leaders, we can improve the overall well-being, safety and dignity of all Soldiers and civilians through the NIMS campaign,” said the command sergeant master at U.S. Army Garrison Bavaria, Command Sgt. Maj. Robert Todd. Here’s how it works. 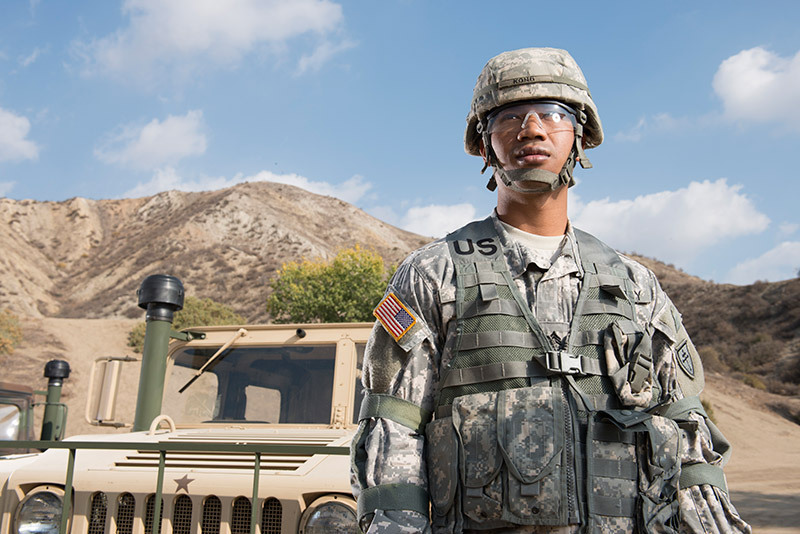 Squad leaders, team leaders, section leader, crew leaders, or just about any level of leadership, take an assessment at the NIMS site http://cape.army.mil/not-in-my-squad. Based on the results, you will be directed to resources that reinforce success, strengthen areas of weakness and consider alternatives. What does success look like? Command Sgt. Maj. Robert Todd explains. The online questionnaire can be completed by any squad member or civilian. The questionnaire is entirely voluntary and can be completed in 10 to 15 minutes. Upon completion of the assessment, the Soldier immediately is able to receive the results, and can share a link to those results with other squad members. Results are confidential with the shared link, without giving up any of the Soldiers personal information. The assessment is designed for the squad level, but can also be utilized by senior leaders and civilians alike. Once the squad members complete the assessment, the squad leader can have a group discussion to examine the results. Sometimes the squad leader will not have the same viewpoint of the overall cohesiveness that the team leaders or that of the Soldiers. To assist in the improvement of the issues facing the squad, Soldiers can access links that provide materials to aid in resolving the issues. Editor’s note: Staff Sgt. Alfred Hames is assigned to the 15th Engineer Battalion. His leadership offered its battalion Soldiers the opportunity to explore professional development options outside their career field. Staff Sgt. Hames spent the month of February working in the USAG Bavaria PAO shop with an interest in the public affairs MOS. This article is a product of his work.